Sketchfab Community Blog - Facebook now supports Sketchfab 3D embeds! 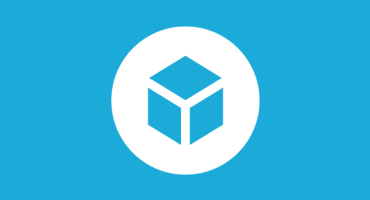 We’re excited to announce that Facebook now supports Sketchfab 3D embeds! From now on, sharing 3D content on the largest social network is one click away. Just include a Sketchfab link in a Facebook post and it will automagically turn it into our sketchfabulous real-time 3D player. Everyone can browse the content in 3D without leaving their feed. This brings us one step closer to covering the entire 3D publishing workflow. We support everything from the tools you use to the networks were your audience is.This is a big milestone for us, confirming our position as the hub for 3D content. With a small team, we’ve built something that is so good that Facebook wants to bring it to their 2bn users. We are proud to be one of the very few partners to provide rich HTML5 content on Facebook, and the first interactive format to be supported in the newsfeed. Post by World of Tanks. Hey Alban, I noted that in the Facebook mobile App it still makes the user leave their feed (actually opens the browser), will it work inside Facebook app someday? Yes unfortunately today facebook doesn’t support any html5 player on their mobile app, but yes it should hopefully work someday, stay tuned. Hello, Alban. How you include iframe to facebook? What requirements of site is? Is it plugin of facebook or something else? It doesn’t work, what is the exact procedure to see the model directly on Facebook page? Does that also depend on Web browser?